There are more SUVs than ever on the market near Avondale these days, but what are the best used SUVs available now? 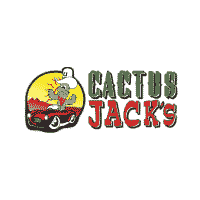 Check out some of our favorites at Cactus Jack’s in Phoenix, and then pay $500 down for a used SUV that can take you up to the hiking trails near Tucson. Subaru Outback – Known for its off-road capabilities, strong safety scores, and long-term dependability, the Outback is an excellent choice in a used SUV. Honda CR-V – From class-leading cargo space to the Honda Sensing® driver assistance package, the CR-V is a perennial favorite in the compact SUV class. Acura MDX – For drivers looking for a luxurious cabin that can seat up to seven, the used Acura MDX gives you a lot for your money. Toyota RAV4 – The original crossover SUV, the RAV4 continues to put up some of the most consistent dependability scores across the industry. Step Into One of the Best Used Small SUVs Near Surprise at Cactus Jack’s! At Cactus’ Jack’s, you can buy here pay here for your next used SUV, and we’ll give you $100 for each friend or family member you tell about us through our Referral Club!